In the 18th century, the pre-modern Judeo-Greco-Christian problem of freedom and determinism is transformed by Kant into the modern problem of the freedom of human agency in the natural and cultural worlds of deterministic structures; it is this version of the freedom and determinism issue which centres the Science and Humanism debates, and thus marks the history of the social sciences. Anthony Giddens is credited with providing the new vocabulary of ‘structure’ and ‘agency’ in order to formulate the problem of freedom and determinism in those terms, thus making this formulation fruitful. 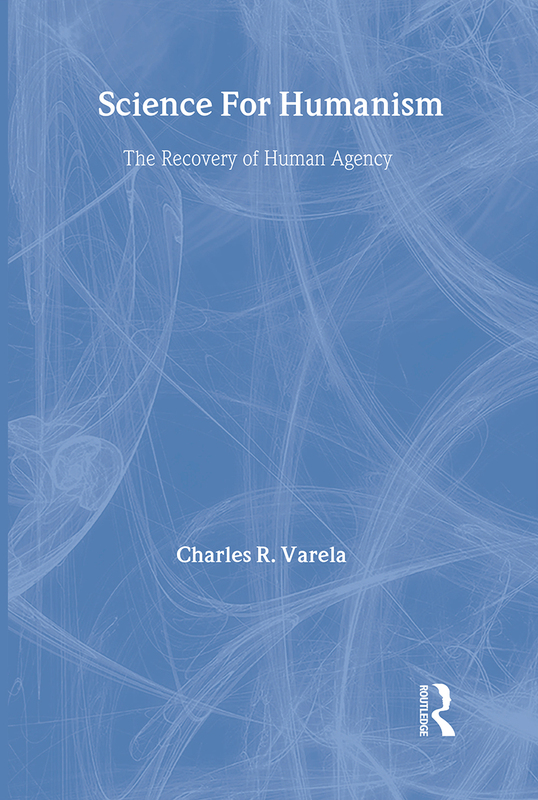 In this book, Charles R. Varela proposes that Kant originally formulated this problem, and makes a series of wide-ranging and groundbreaking observations based on Kant's metaphysics of realism which enables Varela to propose a solution to the structure/agency problem. This breadth of themes, drawn together by Varela with his work on Kant, fully realizes Giddens’ principle that human agency is a real causal force. It is Kant's conception of causal power that is the causal force Giddens' has called for. Science For Humanism: The Recovery of Human Agency will be of particular interest to students of humanism and therefore realism, Kant and Giddens.